This entry was posted in Gallery and tagged d7000, fact, fun, History, joke, Nikon, NJ, paterson, Photo, Photography, snow, snowman, snowmen, We Like Warm Hugs!, winter. Bookmark the permalink. I’m jealous! The setting with its inhabitants beckoning seem to have bypassed my region so far. I need the full maturity of each season and all the wonderful forms of water and ice. 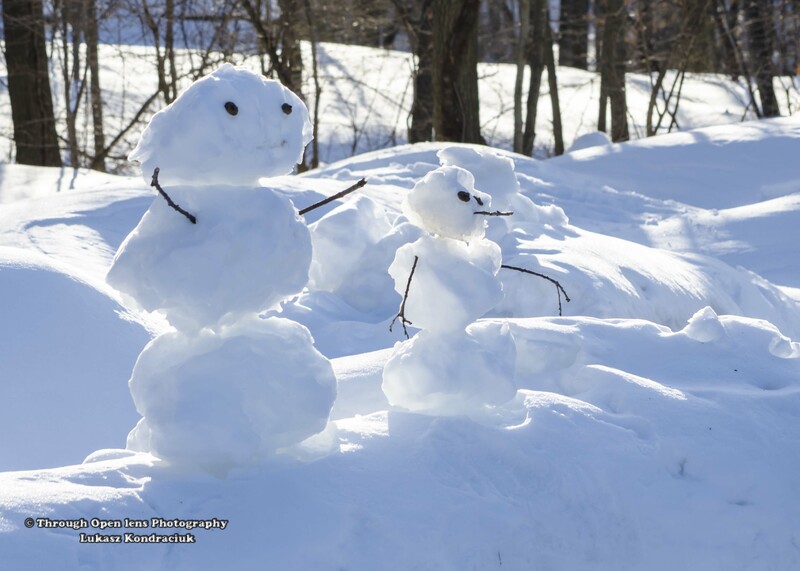 Love the photo of the snowmen or snowwomen. Interesting info about the origins. Did your children make those? Sorry I thought you had children. I tend to assume sometimes which is a bad mental habit. Ha ha! Thanks for your kind remark. Phew! I’m off the hook! Ha ha! Anyway, I’m not a snowman, but I do like warm hugs. Haha. I don’t know when is that soon… 🙂 Haha.. So cute the Chill-dren are!! This is such a nice picture. I love the joke!